My grandma ‘Mamie Odette’, is a renowned to have high seamstress and knitting skills in her village. She has gone through her fair share of hems and pullovers for her children, her grandchildrens and the ones of the others villagers. And so I had to dig her knowledge to learn more about the merino wool I was wearing as outdoor garnement made of merino have been on the rise for the last decade. Know you knit, they said. And here I am: telling you in this comprehensive guide everything there is to know about knitting the merino wool yarn. If something seems to be missing to you, let me know in the comment, and I will make sure to add it to help everyone else. I have structured this guide into 3 parts and there is something for the ones who have never touch any knitting needles before and for the ones who are advanced in the art of knitting but just want to know more about the merino yarn specifically. So first, we will go over why the merino wool yarn, how different is it for the other wool yarn, and is it worth the money. 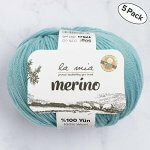 Then you will find a review section of the best merino wool yarn on the market and where to buy them. 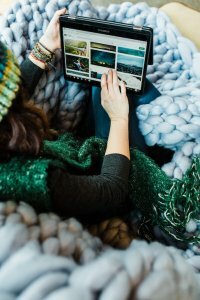 And finally, we have listed the coolest merino wool yarn knitting and crocheting projects we have found on the internet for all levels – including an exciting project that required absolutely 0 skills: the Chunky merino wool blanket. Why isn’t merino wool itchy? How easy or hard is it to knit merino wool yarn? How durable is merino wool and how to take best care of it? What is superwash merino wool and what are the advantages? What is a worsted merino wool yarn? What is a carded yarn? Should I go 100% merino or a merino blend? The primary difference between the many kind of wool that exists is the animal that it comes from. Sheep’s wool is by far the most common and widely available type of wool. But there are actually several different kinds of sheep’s wool, such as melton, shetland, loden, lambswool and, of course, merino. Merino wool simply comes from a merino sheep, which primarily hail from the mountainous regions of New Zealand and Australia. So, cashmere, alpaca and mohair which come from goats and alpacas are actually hair, not wool in terms of fiber. There are many things that all wool types have in common: it is a great insulator, keeping your body warm when it’s cold and cool and it’s hot. Wool is water-repellent and absorbs moisture, keeping your body dry. It’s breathable and adapts well to changing weather conditions, which keeps your body more comfortable. And, of course, wool is, by and large, kind of itchy and scratchy. It’s not the most comfortable fabric to wear and have rubbing against your skin. That is, unless it’s merino wool and that’s what makes it so special. The reason merino wool is really soft, and it isn’t scratchy like “regular” wool is because merino wool fibers are much finer than standard sheep’s wool. But that isn’t the only thing that separates merino wool from the rest. It’s also lightweight for the amount of warmth it gives, making it a great option for wearing in outdoor weather activities like hiking because it adds a layer of warmth without much added weight. It’s also very strong, and naturally elastic, so it’s likely to be pretty durable too. For all these reasons, merino wool is considered a premium or even ‘luxurious’ wool. You can read more about the advantages of the wool below. Otherwise jump to the next section about what you should look out for when choosing your merino wool yarn for your next project. Merino wool is known to keep warmth in and cool weather out. So it doesn’t make you sweat and is totally breathable. This is why it is increasingly popular in outdoor sport clothing such as hiking as well as day to day garnements. It’s not always possible to feel your yarn before you buy it to assess the itch factor. So if you’re looking online, merino wool is usually a pretty safe bet. Blends can be a good compromise, too. Choose wool that’s blended with fibers that you know to be soft and silky. Silk is an obvious choice here, but also think alpaca, angora, cashmere, etc. The combination of fibers will help reduce the itch factor. Superwash wool is often softer than it’s non-superwash counterparts, but a word of warning: it may not act the same in your finished garment. You know where this is going… swatch first! The key to choosing wool is quality. 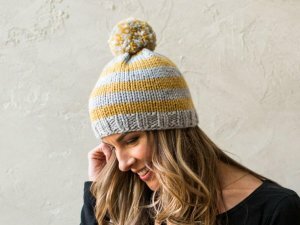 Not all merino wool is going to be high-quality and itch-free, so buying from reputable yarn companies is also a good idea. First, the Ply which usually means the ‘weight’ of the yarn or its thickness. It is sometimes encouraged to start with the most widely-used weight called DK, or ‘double knitting’. Beginners can also use the thickest yarn weights commonly available: super-chunky or chunky yarns. There are two advantages to learning with a thicker yarn: individual stitches are easier to see; and the thicker your yarn, the faster your beautiful knitting project will grow! You will have to use thicker knitting needles: from 7mm for chunky up to 12mm for super-chunky. Or even just your arms for the chunkiest of the merino wool. Then the stretchiness of the wool yarn can mean it is easier or harder to knit with. A yarn with a little ‘give’ in it will be much easier to knit with: you can stretch it out to make all those tricksy movements you’re still getting the hang of, and the yarn will spring beautifully into place when the stitch is knitted. Generally, wool and other animal fibres will have more stretch than synthetic or plant-based materials (like cotton). Less intuitive maybe but the shape can make a project easier or harder to do. Knitting yarn can be wound into an oblong skein, a doughnut-shaped ball, or twisted into a hank. Skeins are the easiest of the three to knit from, as balls can collapse a bit towards the end. And finally, the splittiness of the yarn. You don’t want to spend half your time sticking your knitting needles through the middle of your yarn by mistake. This is why going for a wool that has been through a superwash process (read more below) as merino yarn often is will make it a simpler yarn to knit with. Being so extremely fine, merino wools are able to bend far more than other coarser wool fibres. It also has higher elasticity that helps prevent garments made with Merino wool from losing their shape. Said simply, merino is one of the easiest yarn to work with. 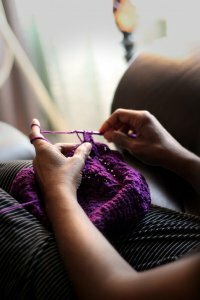 Some knitters may say that cheaper yarns are better for beginner knitters, on the basis that you don’t want to spend too much money on a hobby you might not keep up. However, you’re much more likely to keep it up if you can fall in love with what you’re knitting! There are 2 main ways to take care of your merino wool yarn: you can hand wash it or put it in the wash machine on a cold program. Sometimes, the label calls for a wool washing program. Sometimes they even say to use some wool softeners. Ultimately, make sure you read the label. When we can, we specified it and our yarn recommendation. And in any case, always lay flat to dry. The main criteria to check there is if it is superwash merino or not. 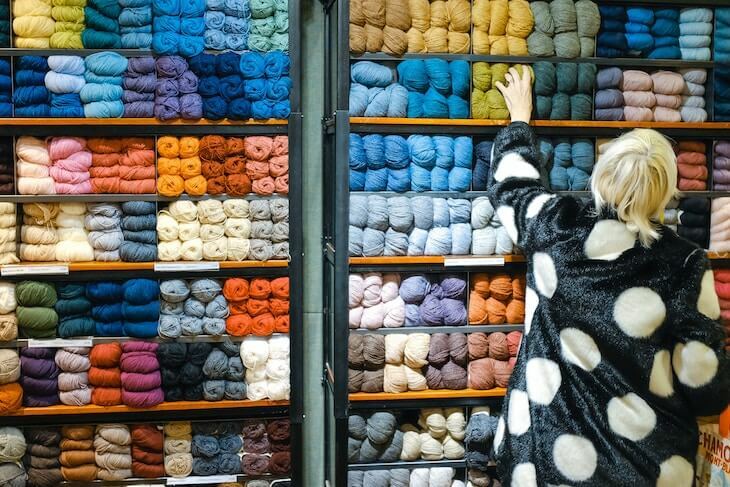 Keep reading below to learn more about the features that counts when choosing your merino wool yarn. The short version is that a merino wool who went through a superwash treatment is a merino wool that can be wash in the wash machine. Wool naturally shrinks, which is why a lot of people don’t like working with wool. Some people do a swatch first to gauge the size of a merino wool square and figure out how many stitch per inch will be needed prior and after washing it to insure they know at what size to knit their project. Another way to avoid the issue is to use superwash merino wool. Superwash wool can allow you to work with great fibers without worrying about shrinkage. And Superwash wool is often softer than it’s non-superwash counterparts. Superwash merino is also great if you are planning to knit something for babies, where handwashing can quickly become too much hassle, or as a gift to prevent the recipient of having to deal with a high maintenance gift. If you are nerdy and want to know more about the process, know that there are 2 ways to make a Superwash wool. It is either by bathing it in an acid which removes the “scales” from the fiber, or it can be made by coating the fiber with a polymer that keeps the scales from being able to join together and cause shrinkage. This is a treatment where you first remove the wool’s itchy hairs with chlorine, after which the wool fibres are covered with a film of resin/polymer (usually plastic). This is not good for the environment, but, on the other hand, you don’t need to be nearly as careful when washing. We still recommend, however, that all wool products are washed at 30°C. Each hair of wool is made up of scales. Felting occurs when these scales bind together. The superwash process prevents the scales from binding in one of two ways. Some superwash wools are given an acid bath that removes its scales. It’s important to remember that excessive heat (such as with a hot setting on a washing machine or dryer) can damage a superwash coating, which may lead to felting. That is why we recommend cold washing and flat drying with the superwash wools. Also, keep in mind that superwash wools tend to stretch a little more than normal. This is because the scales of the yarn cannot bind together. It’s especially important to do a proper gauge swatch with a superwash wool to see how your yarn will stretch. A final thing worth noting is that not all washable yarns are superwash. This is because superwash is a patented process. Washable wools that are not superwash may have very different washing and drying instructions, so it’s important to always follow your yarn label’s care instructions. Some brands call their yarn ‘baby merino’. It is simply to designate a super soft yarn that does not itch, and is therefore very suitable for knitting baby clothing. It is generally made of 100% merino wool and had a ‘superwash’ treatment – of which you can read more about in the section above. What does superfine merino wool means and why does it matter? As we have said before, merino wool is finer (or thinner) than your average wool, which makes it softer, less itchy and more flexible. However, even within merino wool, there are several different categories. The larger the diameter of the wool fiber, the coarser and more itchy it will be. We use micron to compare the different wool. Some wool fibers for exemple can be 25 microns in diameter or more, while your hair(!) is 50-100 microns thick. In comparison, merino wool fibers are typically 24 microns in diameter or smaller. 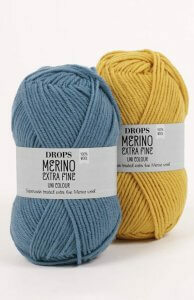 Fine merino is less than 19.5 microns, superfine is less than 18.5 and ultrafine merino is less than 15. Wool yarns can be spun in two ways: worsted and woolen. Worsted wool is generally smoother or softer. The idea of the spinning process is to get the fibers to be long, all about the same length and to run parallel alongside each other. On the opposite, woolen yarns have a variation of long and short fibers that go in different directions, which makes the yarn feel a bit rougher. Fiber blends can be carded or not. Wool carding is the process of brushing the wool fibres to organize them. It creates a continuous web of fibres. Carding can also be used to create blends of different fibres or different colours. When blending, the carding process combines the different fibres into a homogeneous mix. 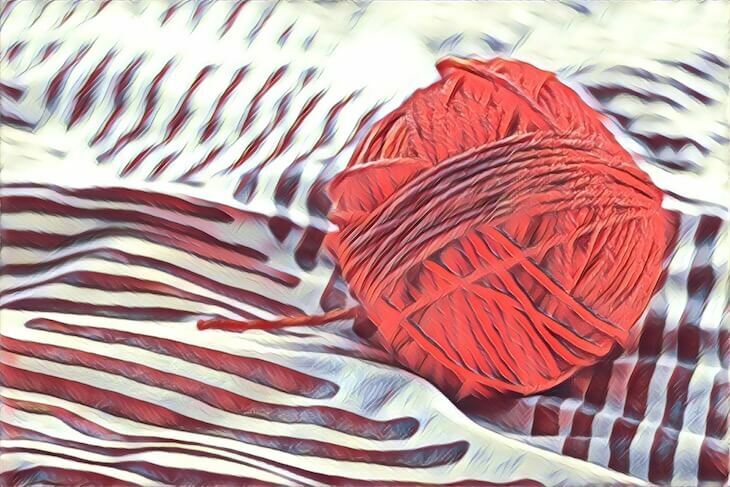 Deciding if you should go for 100% merino wool yarn or a blend will largely depends of the knitting or crocheting project you have in mind. Merino wool yarn is known for its insulating yet breathable property. There are a lot of advantage to go for a 100% merino wool yarn to maximise on the qualities of this fiber. 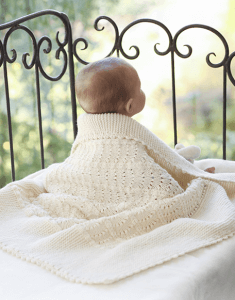 We would recommend to go for a superwashed 100% merino wool yarn if you are planning to knit something for babies or give it as a present because it is very soft and can most often be machine washed. Silk is often blended into other fibers to add luxurious softness. It is typically expensive but can be good if you you looking for something light and lacy. This type of blend is very soft and will be suitable for projects for little ones as it is typically also be machine washed. 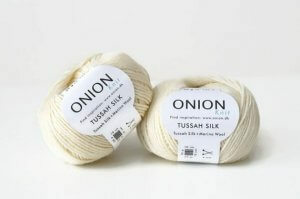 This would give a even more luxurious touch to your merino project. Cashmere comes from the fine undercoat of the cashmere goat from China and Mongolia and is known for being super soft and delicate. Fibers are about 18 microns in diameter, so about the same as superfine merino. It’s often expensive because only about 25% of a cashmere goats fleece is used. Alpaca hair is strong, silky, warm and durable. Alpacas were originally bred in South America and especially prized in Inca culture in Peru’s Andes Mountains. Their hair is hypoallergenic, so they are a good alternative for people who are allergic to wool. Alpaca and merino wool create a wonderfully soft and light yet insulating blend. Fibers are similarly sized as cashmere and fine merino. It is good if you are looking for something really warm and cosy as it would give really high thermal qualities garnements. The downside is the care. Alpaca mostly needs to be dry-clean or gently hand wash, which makes it less ideal for children’s clothes for exemple. Mohair is hair from the angora goat. It’s smoother than wool (and slightly more expensive) but not as soft as cashmere, so it’s kind of a middle ground. It is pleasantly warm despite being very light. Fibers are 25-40 microns in diameter, roughly the same as Shetland wool and even some merino. Mohair is known to have a fuzzy texture, because the goat’s coarser outer hairs mix in with its fluffy undercoat. Mohair is very elastic, which means that like wool, it’s wrinkle resistant. While this fiber might feel truly soft to your skin, the fine hairs can irritate very sensitive people and aren’t known for their machine washing properties. Historically, the idea behind this synthetic fiber is originally to offer a cheap alternative to silk. It is smooth and easy to wash. It is also very durable against wear and tear so it will add some resistance to the merino in a blend. However, it will impair the original odor resistant and breathability properties of the merino wool. Nylon is typically used as a reinforcing fiber that helps greatly increase the amount of wear you can get out of your socks. It usually constitute 20-25% of the yarn. Classic sock yarns are made with wool and nylon, but you can also get other beautiful blends, such as cotton, wool and nylon for summer socks, or soft and elegant fibres such as cashmere, silk or bamboo as part of the blend. Merino wool is superior to pure cotton socks who tend to sag after a while and not hold up well. For that reason, most sock yarns will contain a significant proportion of wool to provide structure to ensure a good fit. You will find some acrylic fibers in the bulkier merino wool yarns. 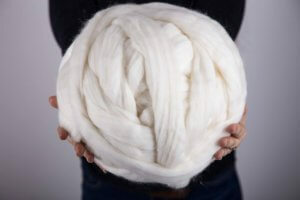 A 100% natural merino wool yarn in 12ply or more can be quite heavy. This is great for felting projects but maybe not so great for jumpers or coats. For that reason, yarn manufacturers offer bulkier yarn blends with natural and acrylic fibres – you still get all the benefits of the natural fibre while the acrylic fibre will provide lightness. This is a natural plant fiber and one of the most common. It is fairly inexpensive and can be washed easily. Because it is so smooth, it’s great for showing off complicated stitchwork. It has great drape, however it is inelastic and prone to splitting in the middle of your knitting. But be aware that some items made with cotton yarns (without added acrylic fibers) can loose their shape after a wash and need to be carefully stretched back into shape and laid out flat for drying. It used to be that when people were knitting with wool yarn, ply was somewhat linked to the weight of yarn. A ply was always a consistent size, so a 2-ply yarn was very thin, while an 8-ply yarn was much bigger. A ‘1-ply yarn’ is actually called a single yarn. And the singles are plied to create yarns of different thicknesses but there’s no longer any consistency as to the yarn’s weight based on the number of plies. So a 4-ply yarn can be bulky or medium weight, while singles can be super thin or super bulky, or anything in between for that matter. We now a system that can be universally understood that uses a scale from 1 to 6, with 1 being the finest yarn (also known as superfine) and 6, super bulky, being the biggest. Sometimes, in the UK, you can still see a reference to Aran yarn which is not usually specified by ply, but as a rule of thumb, this would correspond to a 4 – a worsted or medium-weight yarn. Merino wool yarns of a category 0 would be good for lovely lace designs. 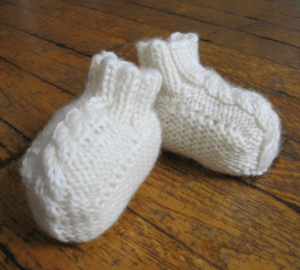 Categories 1, 2 and 3 (super fine to light or ‘sport weight’) work great for small items like socks, gloves, hats, or garments for babies and children. Category 4 (worsted) is a popular weight among knitters of all skill levels because it provides great stitch definition in sweaters, scarves, hats, and mittens. Chunky stitches of merino wool of this weight can enhance the warmth of fiber. And category 5 or 6 (bulky and super bulky) produce fast projects on big needles or even arm knitting. Think: chunky scarves, throws, and blankets. This type is awesome for beginners because you get results fast while allowing you to create something unique. We have talked in an earlier section about the importance of knitting a gauge in the context of superwashed versus not superwashed merino wool in order to know how many stitches of your yarn will be needed per square inch. However, you can find further information on the Craft Yarn Council website as well as recommendations on the needles size you will need depending on your yarn weight. Now that you know everything there is about merino wool, here are a review of the best merino wool yarns currently on the market. We can’t wait for you to start your next project and share the picture with us in the comments section below. And if you don’t what your next project is quite yet, jump to the next section and browse one of the coolest merino wool knitting projects we have found with all the resources and product recommendation you will need. Beautiful yarn from Canada. This brand offers a large variety of colors that are on trend for the season as well as merino yarn that goes from super fine to super bulky and blends mixing merino to cashmere, silk, mohair or even nylon. You will for sure find what you need for your knitting project. Here are five other yarns made of merino wool that came in as runners-up. Go 100% merino or go for a silk blend, chunky merino or regular, we have selected for you the best from Amazon and Etsy. They only have one weight but people really like the quality of this 100% merino wool warn reported as very soft. Available in a lot of colors. They only have one size but people really love it as well. They feature a lovely pale color palette. Note: you have to handwash it. 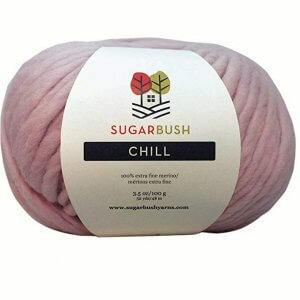 Good price yarn that you can use to do a lovely crocheted baby blanket or stuffed animal. You can see projects in our section below. This type of very chunky wool (Size 6, Jumbo!) is mostly used to arm knit these massive and ultra cosy merino wool blanket you see everywhere on Instagram and Pinterest. Order the weight and the color you want depending on the blanket size you want (the shop can guide you the sizing), scroll to the next section to find our recommended tutorials to DIY a blanket and enjoy the most cosy Winter ever. Maybe you don’t know yet what your next project should be. Here are a few ideas, ordered from the easiest to the most advanced ones. And when we say ‘easy’, we mean it! We start with a cool project, that doesn’t even require needles or anything else than some merino wool, your arm and one afternoon in front of you. Easy peasy. This is the ideal project if you have never knitted before and will never again as you won’t need to invest in any extra knitted material such as needles. You just need wool and your arms to knit the blanket. In just a couple of hours, you can get a great story answering questions such as “where did you buy it, I want the same” with “I made it myself” and can start making mini ones as gift for all the baby showers to come. Fairly easy and always useful, beanies are wonderful to make for ourselves or to offer as a gift. We love love love this country chic Mid-town cardigan from Stephanie from All About Ami’s blog. 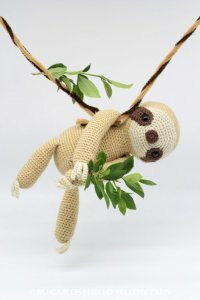 on the Lion Brand Yarn site. Make sure to choose a yarn that is machine washable to make it easy for yourself. Fashion is all about these fancy socks these days. Fancy and cosy when made of a blend of merino wool yarn and nylon for extra strength. How cute is this blanket blanket from Drops Design? One of the best baby shower gift ever. What do you want to crochet? A dog? A girafe? A sloth? Anything else? Pick some lovely colors of merino wool and silk yarn from Onion and grab one of the amazing patterns from HelloYellowYarn, and you won’t stop crocheting all the animals of Noah’s ark. 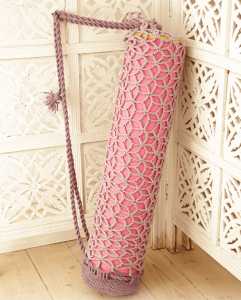 Awesome and very practical gift for all your yogi friends. Lovely booties for a baby shower gift from The Spruce Crafts. Wow! 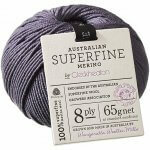 What a great resource for Merino wool! 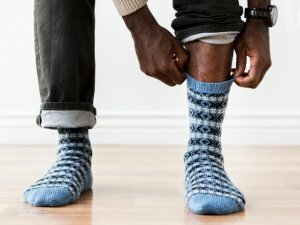 I founded a merino wool sock brand and love all the great info and benefits to this magical material. My daughter just started knitting so im exited to share this with her.